The Geographical Indications Registry has approved the Geographical Indication (GI) tag for coffee varieties viz. Coorg Arabica Coffee (Kodagu district of Karnataka), Wayanad Robusta Coffee (Wayanad region of Kerala), Chikmagalur Arabica Coffee (Chikmagalur district, Karnataka), Araku Valley Arabica Coffee (Visakhapatnam district in Andhra Pradesh and Koraput district in Odisha) and Bababudangiri Arabica Coffee (Bababudangiri region of Karnataka). The Supreme Court has put on hold the Meghalaya High Court’s judgment holding The Shillong Times editor Patricia Mukhim and publisher Shobha Chaudhuri guilty of contempt and fining them Rs 2 lakh each. The Shillong Times has published an article titled “When judges judge for themselves” in pursuant to a high court order directing the government to amend rules so that spouses and children of retired judges become eligible for medical treatment. Contempt of court refers to actions which defy a court’s authority, cast disrespect on a court, or impede the ability of the court to perform its functions. After a seven-year-old in Kerala has been detected with the West Nile Virus, a mosquito-borne disease, the central government has sent a multi-disciplinary team to the state and is monitoring the case closely. As per the World Health Organisation (WHO), the West Nile Virus (WNV) is a member of the flavivirus genus and belongs to the family Flaviviridae. West Nile Virus may result in neurological disease as well as death in people. 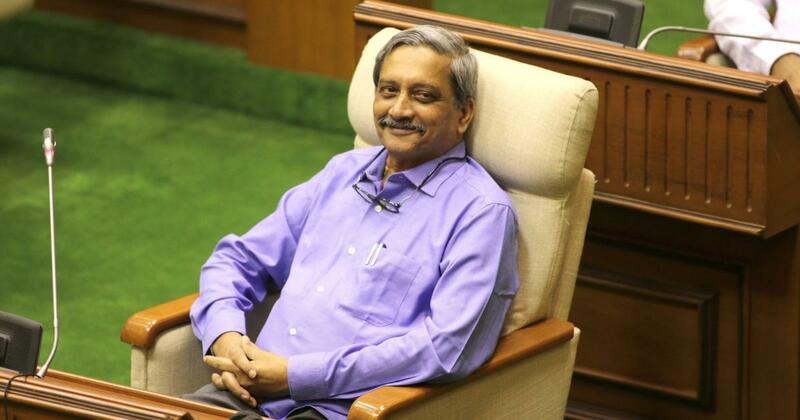 Goa Chief Minister and former Union Defence Minister, Manohar Gopalkrishna Prabhu Parrikar passed away on March 17, 2019 after battling with pancreatic cancer at an age of 63. Being a member of the Bharatiya Janata Party (BJP), he served as the Chief Minister of Goa thrice in his political career- first from 2000 to 2005; then from March 2012 to November 2014 and later from March 2017 till the time of his death. From November 2014 to March 2017, he served as the Union Defence Minister. The United Nation Environment Program (UNEP) has released the sixth edition of the Global Environment Outlook (2019) titled ‘Healthy Planet, Healthy People’ which calls on the decision makers to take immediate action to address pressing environmental issues to achieve the Sustainable Development Goals as well as other internationally agreed environment goals, such as the Paris Agreement. India’s B Sai Praneeth lost to Shi Yuqi of China in the men’s single final match of Swiss Open Badminton tournament in Basel on March 17, 2019. Top seeded Shi Yuqi has lifted the title defeating Praneeth 19-21, 21-18 and 21-12. Praneeth defeated Chen Long of China 21-18, 21-13 in the semifinal to enter finals. A bench headed by National Green Tribunal Chairperson Justice Adarsh Kumar Goel directed the CPCB to identify noise pollution hotspots and categorise cities with specified hotspots and propose a remedial action plan within three months. The NGT said that the absence of implementation of noise pollution norms will affect the health of citizens, especially infants and senior citizens. 1. Where is the Chikmagalur Arabica Coffee grown? 2. To which family does West Nile Virus (WNV) belong to? 4. Who released the sixth edition of the Global Environment Outlook (2019) titled ‘Healthy Planet, Healthy People’? 5. Who won the men’s single title in Swiss Open Badminton tournament 2019 in Basel? 6. National Green Tribunal directed CPCB to prepare a road map for ______ pollution.